Market leading Swimming Pool LED lighting manufacturers. Turn your pool, spa or water feature into an eye-catching highlight at night. Aqua-Quip swimming pool lights are modern, slim and stylish. The multi-colour underwater light option creates a magical, party-like atmosphere… fixed colours for a serene, resort appeal. Aqua-Quip swimming pool LED Lights are Australian made and are available for concrete, vinyl and fibreglass pools, spas and water features. 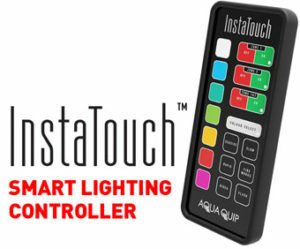 Upgrade your existing pool lights to Aqua-Quip without lowering the pool water level or changing the transformer. Lighting is very often the most eye catching aspect of your pool and spa. The name Aqua-Quip is synonymous with award winning LED pool lighting. Choose Aqua-Quip pool lighting for that special evening atmosphere.